How Do I Correct My Child's Paper? 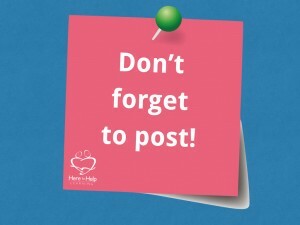 Correcting a child’s paper can raise some questions for both the veteran and novice home educator…..
How do I grade my child’s writing? How do I know they are progressing in their writing skills? What is considered “normal” for their grade? When a child hands in a writing assignment to correct, two types of insecurities usually emerge. Or you may be on the other side…. Most of us fall somewhere in between these two ends of the spectrum. We live with this tug-o-war tension when faced with correcting a young child’s paper. 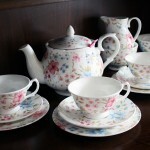 However, there is good news! The tension is normal. That’s because, unlike math or science, there are no hard fast, correct answers. 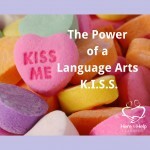 The written language can be expressed in many ways to communicate the same ideas. 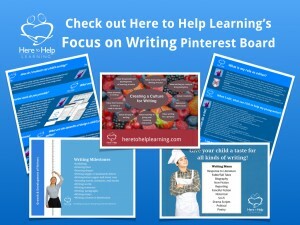 Just look at how many blogs there are about how to homeschool. 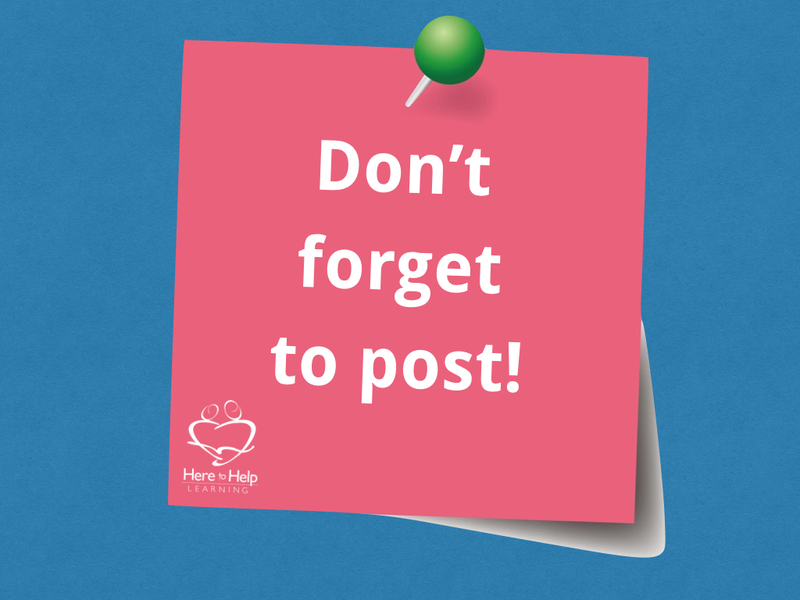 Each blogger provides similar information but communicates those ideas in their own style. That’s why we enjoy one blogger over the next. I am all for style, but when correcting a child’s paper it does present some challenges. All this diversity makes writing hard to correct. Even “Professional” teachers are not consistent with writing evaluations. My daughter was in the fourth grade, and our state required that she take the state writing exam. No big deal. She was given a narrative prompt and a set amount of time. Months later, a certified teacher met with me to share the results. She showed me the 0-4 scale that was used. 0=Failed and 4=Above Average. She told me two certified teachers evaluated her writing; one gave her a “3”, and the other teacher gave her a “0”. The scores were combined, and the “state” gave her a “2” which required “remedial help”. Of course, I bit my tongue hard and asked the representative to explain. She didn’t know why there was such a spread in the rating. Then she personally evaluated my daughter’s writing and admitted that she would have given her a “3+”. I was left with three “expert” teachers, three different opinions, and one baffled home educator, me, scratching my head. Needless to say, I didn’t share these topsy-turvy results with my daughter. It’s no wonder results like this happen. Look at this excerpt from a public high school writing rubric describing an “A” paper. “fresh and mature”, “exciting to read”, “accommodates itself” are all matters of opinion and cannot be measured. The rest of this rubric contained similar types of phrases. 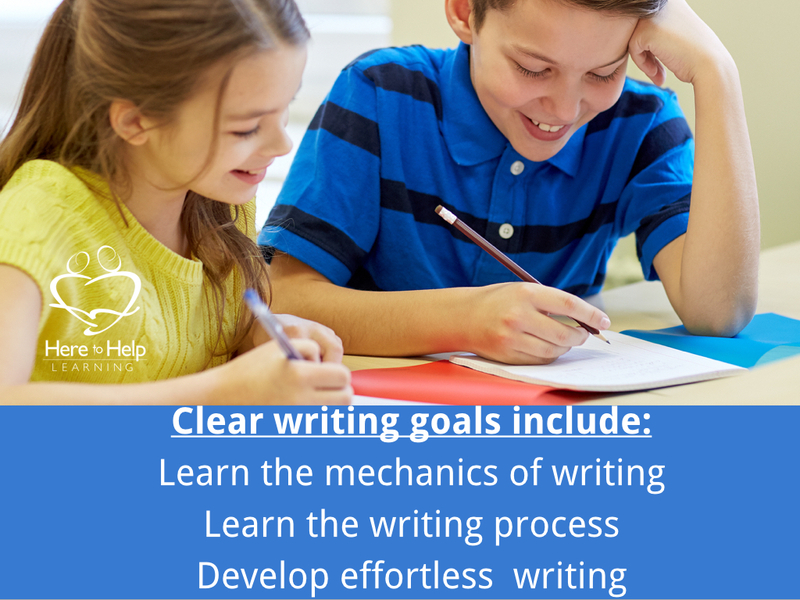 We frustrate young writers when we don’t provide clear goals. Learn the mechanics of writing. 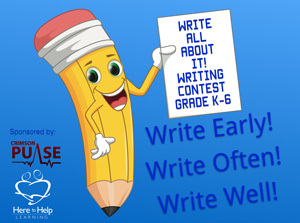 The mechanics of writing include grammar, spelling, and penmanship. It is the easiest to correct. Is it a sentence or isn’t it a sentence? Is it spelled correctly or isn’t it spelled correctly. Are the letters formed correctly? All of the answers to these questions are clear. We can answer, yes or no. Each question is researchable in a reference book. 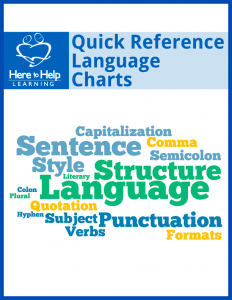 In Here to Help Learning’s writing program, members are provided with a Language Helps Booklet that includes grammar quick reference charts. Know and be able to apply every step of the Writing Process. 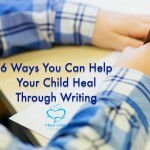 This skill provides a child with a solid framework to tackle any writing project. 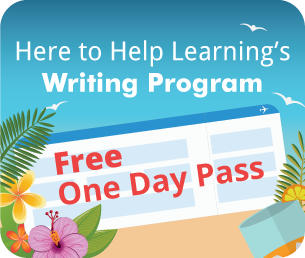 Here to Help Learning uses a professional writing process model, the same one used by businessmen, businesswomen, and experienced authors. This is part of writing that presents a challenge in correcting a paper and where most educators either feel uneasy or correct too harshly. 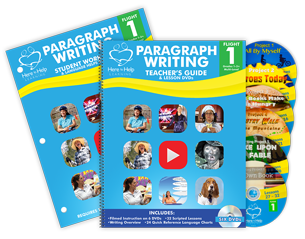 Develop effortless writing- The student combines the mechanics of writing and the writing process with minimal frustration. Notice I said “minimal”. Writing is never free of frustration-ask any professional writer. This part of writing necessitates lots of practice with constant feedback. Mastering these three goals require time and patience. 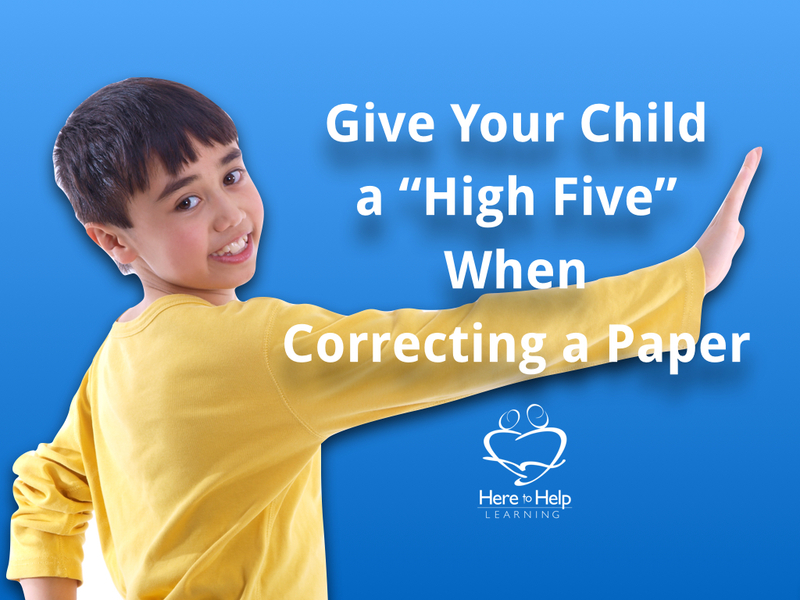 When you correct a paper, you have the opportunity to give your child a “high five” and help him or her reach these goals. Here are five parts to the “high five”! 1. 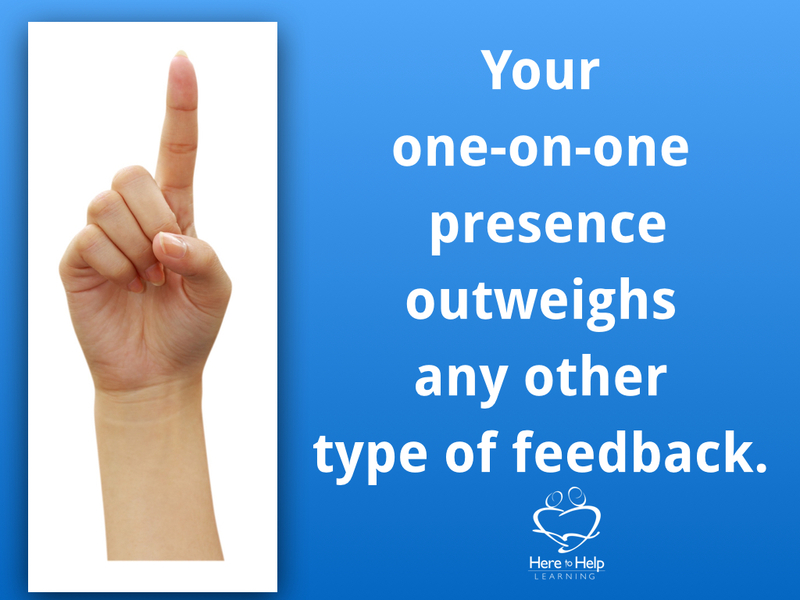 Your one-on-one presence outweighs any other type of feedback. 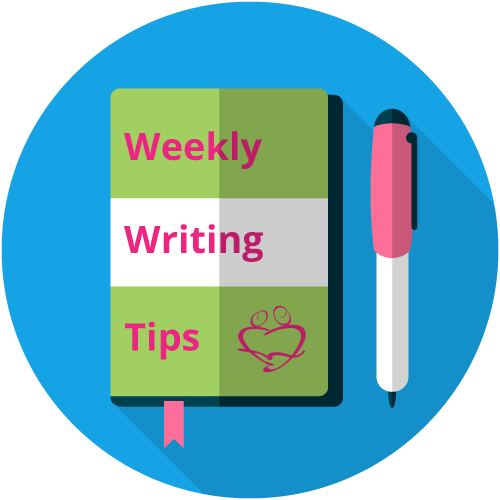 As your student’s personal editor, you know what skills they are learning, and this enables you to individualize your student’s learning. 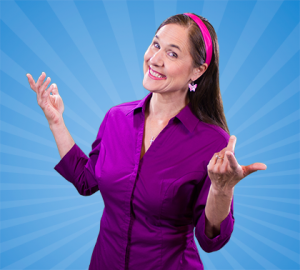 It is one of the main reasons homeschooling is so successful. 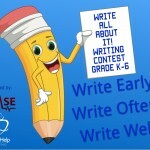 When applied to writing, your student will benefit. Recognize your job is to help them grow from their last paper, and not achieve what is “normal” for their grade. 2. 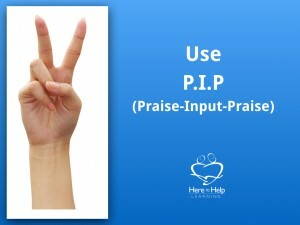 Use P.I.P. 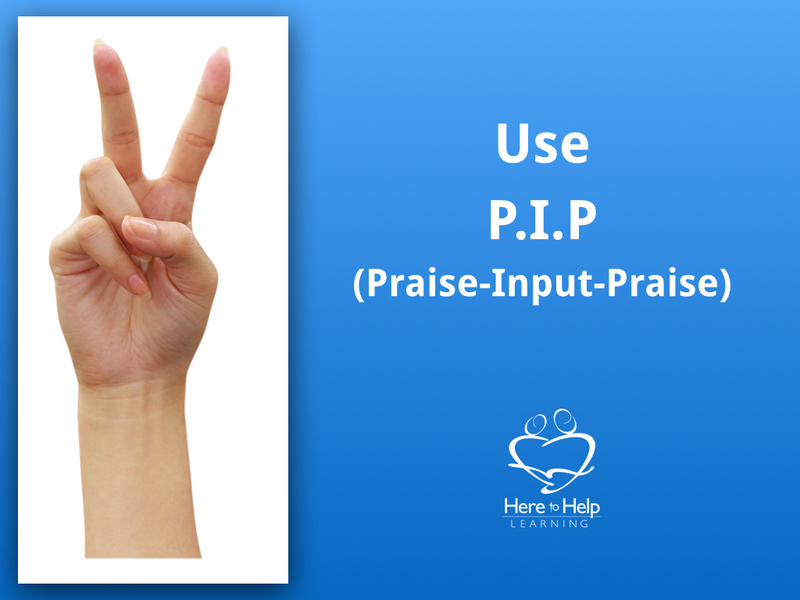 (Praise- Input- Praise) when correcting your child’s writing. Fill your writing sessions with encouragement. Negative feelings about writing can plague a student for years. Be specific with your input. Refrain from words like, “good” or “poor”. Follow the Do’s of Editing. 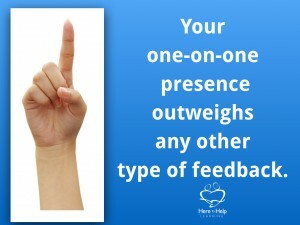 Have your student receive input from others. 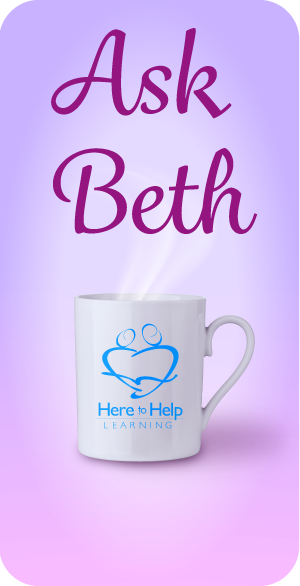 Here to Help Learning’s Writing Program models PIP on the filmed instruction. 3. Prioritize your corrections. Too many corrections will discourage a student. Too few corrections will not help them progress. I focus on 1-3 different areas of writing. I use an editing checklist (Included in HTHL’s Language Helps Booklet) to remind myself what areas I need to address. One word of caution: Don’t edit content, spelling, and grammar in only one editing session. Separate it into two sessions, one for the content and the second session for the grammar and spelling. Think about it. 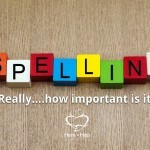 It is very frustrating to a young student to receive grammar and spelling corrections on the content of a paper that is still being changed and refined. 4. 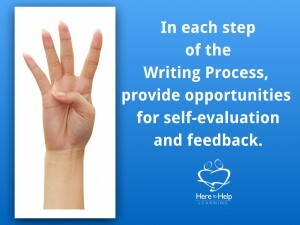 In each step of the Writing Process, provide opportunities for self-evaluation and feedback. 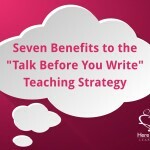 Don’t wait until your student completes a writing project to give feedback. 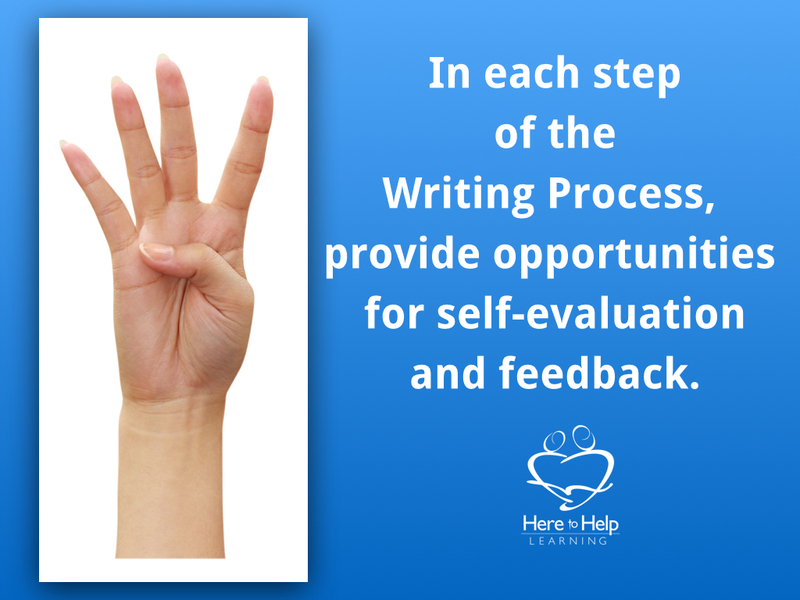 In every step of the writing process, use discussion, checklists, and rubrics to engage the student in self-evaluation and provide students with helpful feedback. 5. 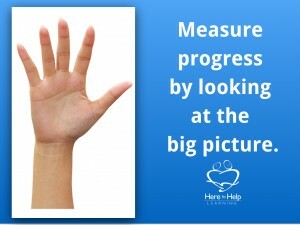 Measure progress by looking at the big picture. Writing progress is best measured when you have many samples to compare. A one-time test will not give you an adequate assessment. 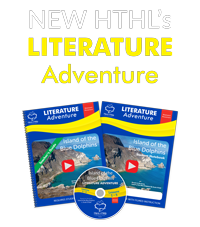 Save every piece of writing and make a writing portfolio. One of my favorite writing exercises is to have the student analyze a paper written in the first week of school and compare it with a paper written in the last week of school. 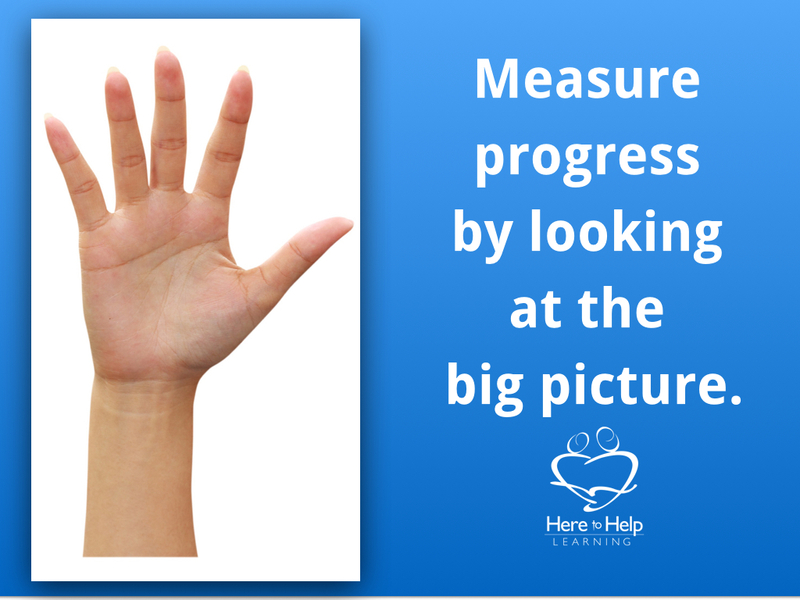 Progress is undeniable to both teacher and student. Each time we give our child a “high five” when we correct a paper, we help them master the skill of writing! 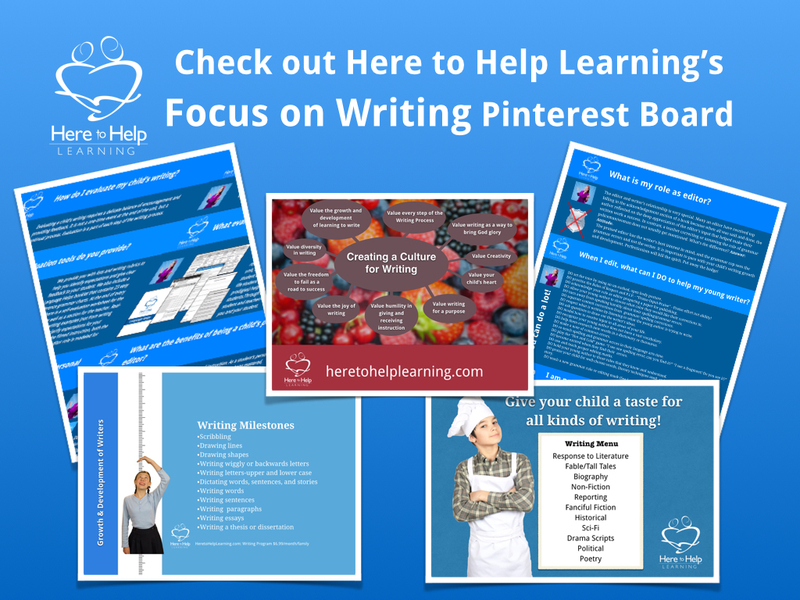 Check out Here to Help Learning’s Focus on Writing Pinterest Board for helpful info graphics. 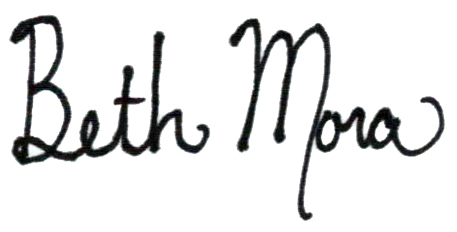 My life goal: To know Jesus more…. (Philippians 3:8-10) My prayer: Lord, may I come to know you more through everything I do, even correcting my child’s or my student’s paper. Thanks for coming over! 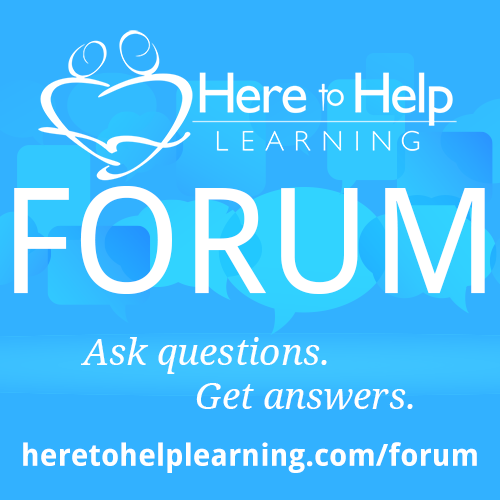 When you correct your child’s paper, what have you found helpful?